Discussion in 'Music Corner' started by Parachute Woman, Oct 10, 2018. We have just concluded another wonderful discussion, this time about The Hissing of Summer Lawns, and today I open up the discussion for Joni Mitchell's 1976 album Hejira. From: (Arabic) Muhammad's departure from Mecca to Medina in AD 622, prompted by the opposition of the merchants of Mecca and marking the consolidation of the first Muslim community. Neil Young appears courtesy of Warner Bros. Records, Inc.
Hejira is the eighth studio album by Canadian singer-songwriter Joni Mitchell, released in 1976. The songs on the album were largely written by Mitchell on a trip by car from Maine back to Los Angeles, California, with prominent imagery including highways, small towns and snow. The photographs of Mitchell on the front and back cover were taken by Norman Seeff and appear against a backdrop of Lake Mendota, in Madison, Wisconsin, after an ice storm. Characterized by lyrically dense, sprawling songs, and the distinctive fretless bass playing of Jaco Pastorius, Hejira marked Mitchell's turn towards the jazz-based music she would implement on later recordings. The album did not sell as well as its predecessors, peaking at #22 in Mitchell's native Canada. It also reached #13 on the Billboard 200 pop album chart in the United States (where it was certified gold by RIAA), and #11 in the UK, where it attained a silver certification. Critically, the album was generally well received, and in the years since its release, Hejira has been recognized as one of the high-water marks in Mitchell's career. According to Mitchell, the album was written during or after three journeys she took in late 1975 and the first half of 1976. The first was a stint as a member of Bob Dylan's Rolling Thunder Revue in late 1975. During this time period, she became a frequent cocaineuser, and it would take several years for her to kick the addiction. In February 1976, Mitchell was scheduled to play about six weeks of concert dates across the US promoting The Hissing of Summer Lawns. However, the relationship between Mitchell and her boyfriend John Guerin (who was acting as her drummer on the string of dates) soured, possibly due to Mitchell's fling with director Sam Shepard during the Rolling Thunder Revue. Tensions became so fraught that the tour was abandoned about halfway through. The third trip came soon after when Mitchell traveled across America with two men, one of them being a former lover from Australia. This trip inspired six of the songs on the album. She drove with her two friends from Los Angeles to Maine, and then went back to California alone via Florida and the Gulf of Mexico. She traveled without a driver's licence and stayed behind truckers, relying on their habit of signaling when the police were ahead of them; consequently, she only drove in daylight hours. During some of her solo journeys, Mitchell donned a red wig, sunglasses, and told the varying strangers she met that her name was either "Charlene Latimer" or "Joan Black. "Despite the disguise, Mitchell was still sometimes recognized. During the recording of her albums Court and Spark and The Hissing of Summer Lawns, Mitchell grew increasingly frustrated by the rock session musicians who had been hired to perform her music. "...There were grace notes and subtleties and things that I thought were getting kind of buried." The session musicians in turn recommended that Mitchell start looking for jazz instrumentalists to perform on her records. In addition, her relationship with drummer and musician John Guerin (which lasted through a significant portion of the mid-1970s) influenced her decision to move more towards experimental jazz music and further away from her folk and pop roots. After recording the basic tracks that would become Hejira, Mitchell met bassist Jaco Pastorius and they formed an immediate musical connection; Mitchell was dissatisfied with what she called the "dead, distant bass sound" of the 1960s and early 1970s, and was beginning to wonder why the bass part always had to play the root of a chord. She overdubbed his bass parts on four of the tracks on Hejira and released the album in November 1976. Dominated by Mitchell's guitar and Pastorius's distinctive fretless bass, the album drew on a range of influences but was more cohesive and accessible than some of her later more jazz-oriented work. "Coyote", "Amelia" and "Hejira" became concert staples shortly after Hejira's release, especially after being featured on the live album Shadows and Light, alongside "Furry Sings the Blues" and "Black Crow". The album title is a transliteration of the Arabic word "hijra", which means "journey", usually referring to the migration of the Islamic prophet Muhammad (and his companions) from Mecca to Medina in 622. She later stated that when she chose the title, she was looking for a word that meant "running away with honor." She found the word "hejira" while reading the dictionary, and was drawn to the "dangling j, like in Aja... it's leaving the dream, no blame". Commercially the album did not do as well as its two predecessors. Despite reaching #13 on the Billboard 200 pop album chart and being certified Gold, it failed to get significant airplay on commercial radio. Critically, the album was, however, generally well received, and it has since been recognized as one of the high-water marks in Mitchell's career. In 1991 Rolling Stone cited the album's cover as the 11th greatest album cover of all time. In 2000 German Spex magazine critics voted it the 55th greatest album of the 20th century, calling it "a self-confident, coolly elegant design". The album was included in Robert Dimery's 1001 Albums You Must Hear Before You Die. "Understand: Once and for all, understand: Joni Mitchell is not a folk singer. She is a contemporary musician/poet/singer far ahead and far apart from the contemporary scene. She is also an enigma. To unravel all the mysteries that Joni Mitchell offers is complex. After a year of frequent listenings, 'The Hissing Of Summer Lawns' still unfolds new insights at every play. Like its predecessor, 'Hejira' -- meaning literally the flight of Mohammed from Mecca in AD 622, but in modern usage, any sort of flight or running away -- presents puzzles, albeit of a patently more accessible nature. The poetry is more reminiscent of an earlier period than 'Summer Lawns' -- relatively straightforward and personal rather than complex and biographical. Yet intrigue remains, the essence of the Mitchell fascination." "If THE HISSING OF SUMMER LAWNS was highly enigmatic in its lyrics of social observation, which seemed to be about the corruption of that which is natural and the moral ambiguities of suburban life, then HEJIRA is very much a return to her confessional style, although the mood is somewhat different. There has always been a dark side to her work, but she has never sounded more isolated, more enclosed within herself, than in these songs of perpetual, melancholy journeys "across the burning desert" and "thru the snow and pinewood trees … porous with travel fever," landscapes of almost supernatural detachment in which she voices her soul-searchings. HEJIRA is all shades of grey: in its lyrics, in its music, and even, in its cover art, which mostly shows a soft ashen photograph of a vast expanse of smooth ice." "Musically, the album is stripped to the bone. For all intents and purposes, Joni has done away with percussion. Her rhythm guitar sets the pace and creates the foundation for each song. Her ephemeral chords, a Joni Mitchell trademark, are said to be the result of an unusual guitar tuning style. Because of the absence of the well-defined repetition of most modern music, it takes time to adjust to and appreciate Hejira. There's very few "hooks," or short repeated passages, in the lead guitar work of Larry Carlton or the bass-playing of Jaco Pastorius. Their contribution is jazz-like, laid-back and unpredictable. Joni's chording is particularly striking in Song for Amelia. On the title cut, Hejira, Carleton's [sic] guitar sings duets with Joni. In Refuge for the Road [sic], the bass takes on the sound of a French horn. The occasional use of vibes and Neil Young's harmonica add more depth. Joni's music is like the best of writing. All extraneous material has been cut away. Only that which is crucial is left. By its simplicity, it achieves a clarity of sound missing in contemporary music until the advent of this album." "By writing for instruments that she plays well (guitars) and within a genre she understands (folk), Mitchell avoids the self-conscious artiness that marred The Hissing of Summer Lawns. Despite its apparent simplicity and spare instrumentation, the sound is is sophisticated and arresting as anything she's done. Mitchell has taken advantage of the music's structural freedom to write some of her most incisive and humorous lyrics. Her singing, too, has developed new warmth; it is breathier than ever. Where she once sounded simply ethereal, she now introduces a sexual roughness which she uses with precision. In fact, her voice is often flexible enough to create the continuity and the climaxes that her melodies lack. But the album is truly held together by the motion of the music, which is as unceasing and hypnotic as the freeways Mitchell describes in her songs." Davmoco, DmitriKaramazov, groundharp and 10 others like this. groundharp, VU Master, bluemooze and 2 others like this. Hejira is the reason I decided to run this series of Joni Mitchell threads, hoping that there would be others on the forums who would take an interest (to my great fortune, there are and we have been having a ball, I think!). In the spring of this year, I was at an emotional low point and I was having a hard time connecting with any of the music I was playing. I suffer from depression and when I go into a blue period, I sometimes lose my grip on even the things I love the most--and music is very near the top of that list. I tried albums both new and old, but it was eventually a pair of records that got me through. One was The Lamb Lies Down on Broadway by Genesis, an album I had always liked but which finally absolutely *clicked* with me this year and zoomed up the list of my favorite albums. The other was Hejira. There was about a three-week period this past April when I was listening to nothing but Hejira. I didn't want to hear anything else. I do a lot of my music listening in the car as I currently have a lengthy commute to work, and I had this album on during every single drive. Listening on the road is one of the ideal ways to hear Hejira, in my opinion, and I was held captive by the unique and hypnotic beauty of this record. It's an album I first heard in college. It was a top five favorite Joni record for me, but For the Roses was always my #1 favorite. But this album meant so much to me this spring. It was one of those times in your life when music matters more than anything--I hope some of you know what I mean. I have every note memorized and tattooed onto my skin. Songs are like tattoos... I go deep into this record. It was so personal for Joni and such an important turning point in her own life and career, but it's a journey that I can understand even if I've never had this sort of journey myself. Not as an adult, anyway, and certainly not alone. It's a metaphysical journey that goes into the heart of individuality, understanding, compassion, love, vulnerability. Joni opens up like she did on Blue, but she's an older woman now and it can't help but be different as she has learned many lessons since 1971. But she is at a creative peak. Intense, honest, sincere, powerful. It is an album of both flight from pain/love/conflict and confrontation with those things. I don't think many albums are 'perfect' and I shy away from using that word too often, but I think Hejira is a perfect record. The combination of words, mood, arrangement, instrumentation, melody... It is one of the most complete pieces of music I've heard. This is my #1 now. But I'll go into more detail as we go through the songs. But I'm going to gush in this thread. I can't help myself. Is one of Joni's most sexually explicit (finger pie, right?) and it plays right into her writing about him with this animalistic intensity and sexuality. Meanwhile, they are all prisoners of double-meaning 'white lines'--on the road and cut lines of coke. This is one of the earliest compositions on the album, and Joni was performing it on the Revue while she was still writing it and had not finalized the lyrics. She will be by turns weary, heartbroken, searching, powerful on the rest of the album, but here she seems happy to be the prey of such a wicked man. This is a bit of a prelude. She's traveling--but she has not yet broken away from the pack and started on her own more solitary hejira. Joni performed 'Coyote' at the Band's famed Last Waltz, on Thanksgiving 1976. She also performed 'Shadows and Light' and 'Furry Sings the Blues' but Coyote was the only one to make the film. Davmoco, lemonade kid, Norbert Becker and 13 others like this. This is an album I am very familiar with and really like a lot. Thanks for the information about who the Coyote was, as it was in the back of my mind yesterday while I was having a re-listen. One thing that comes out lyrically from this song is the White lines of the freeway (that's certainly not all, but always seems to get the attention). Given the notoriety of the tour I reckon it may have a double meaning. The music on this track, as with the whole album, is sublime. There is a smoothness to it that runs over your ears like velvet, and a richness that would rival Solomon. I love Joni's choices for chord progressions, staying very melodic, but (i think) completely avoiding the i,iv, iv, the i, iv, vi, v and their associated friends. Tuco and Parachute Woman like this. Love Coyote. While saying No Regrets, she's implying regret at being a prisoner. Just sayin'. PW, I knew Joni went out on tour in early '76, but didn't know it ended early because of drama. tdgrnwld, theMess, Smiler and 6 others like this. This woman would be dangled before Joni for the rest of the gig, and by a guy who was not only her ex, but working for her, and being paid nicely, too. Joni had had to tolerate this for days, and it was getting tougher and tougher. She wasn't kidding when she told Elliot Roberts she could take it no more, and now she was supposed to get up there and entertain a stadium of eighteen thousand on a college campus and sing about drinking a case of her lover or courting and sparking or even going twisted? Joni could be tough, Joni could be sensitive. And she also knew when to take off. The sound check was foreboding. 'The sound was bouncing off the walls and between being sick and the sound being horrible, I thought, 'I can't play under these circumstances.' I was just hearing echoes of myself. It's like when you're talking on the phone and you get slap-back and you can't really talk to the person.' Joni was in her own echo chamber that night. When it was time to sing her opening number, the band played the familiar groove, and Joni took to the mic and sang, "Help me..." before bolting from the stage. She really did need help. Eighteen thousand tickets were returned. Five more domestic gigs were canceled. A European leg was scrapped. Max Bennett estimated that he personally lost $60,000-in 1976 dollars." (Gaffe, 216-217). VU Master, Tommy Jay, chrisblower and 4 others like this. I gotta get that book! Hejira is easily one of her finest albums. Her guitar is back front and center. But it’s not the jangly acoustic of past albums. She’s moved to an electric fed through a shimmering chorus effect. It elevates her unique tunings and synocopated strum patterns to something ethereal. The sound intrigued me the first time the needle hit the vinyl, and it still does. Who needs Guerin with rhythm like this? Her guitar is the percussion. I can’t add much to “Coyote”. Three albums ago she was on a lonely road, traveling, traveling looking for something. Now she’s become a prisoner of the lines on the freeway. No regrets tho. lemonade kid, VU Master, MikeManaic61 and 4 others like this. Miles after C&S or Hissing but since Hejira is so long, I tend to move onto another lp, maybe The Pretender which is from that same time period or nothing. Or in the cd era, return to Sharon or Blue Motel to lighten the mood. Parachute Woman, Socalguy and Tuco like this. Hejira & "Coyote" are my favorite Joni Mitchell; I learned so much from the last 2 threads so I very much look forward to this, as well. lemonade kid, Tommy Jay and Parachute Woman like this. I don't nowadays see the album per se in quite the same splendid isolation as I once did, and a lot of the psychic energy I once invested in Hejira has moved to DJRD because that Juanita-come-lately has usurped my heartstrings (I first heard Hejira in '85 but Don Juan exactly 30 years later for the first time). But the album marking the final period of her full physical health and blooming artistic life she had the most control over, certainly left us with the highest quality of lyric writing achieved to date. Musically, it isn't as interesting as the albums either side of it, is my sole complaint. I don't play it quite as much these days as those either, which for me is a strong indicator that it has slipped a little. It's not an album I turn to in moments of need. In my case certainly not when depressed. Hejira isn't just my favourite Joni album; it's one of the most important albums of my life. I first heard it at a time when I really needed it, when my future was completely uncertain, and the beauty of Joni's voice/melodies, that deliciously fluid guitar tone, and Jaco's incredibly soulful playing seemed like the most perfect - and emotionally reassuring - musical combination ever devised. As with Blue, I don't play it very often, but when I need to turn to that source of musical comfort, it still hits me just as hard now as it did seven years ago. Emo rant over! Coyote is a stunning opening track that lets you know right from the start that you're in for an extraordinarily mysterious and otherworldly experience. Joni's voice is at its most expressive on this album: "No regrets, coyote." The way she bends the word "ego" breaks my heart every time. And then there's the resignation at the end, when she's signing off..."the free, freeway" (is she using "free" as an adjective for "freeway," or is she just absently repeating the first syllable because she's lost in her own thoughts/emotions? Either way, it's wonderful). The lyrics are direct and hurt just as much as anything she's done before: "We come from such different sets of circumstance/I'm up all night in the studios/And you're up early on your ranch." There's a classic film's worth of material right there. Or what about "He's got a woman at home/He's got another woman down the hall/He seems to want me anyway"? You can pick pretty much any series of lines, and there's so much richness, so much going on. It helps that the lyrics pretty much keep coming at you, like there's so much to say that she can barely stop for a breath. When you put it all together, the final result isn't so much a story as a few characters' lives somehow crammed into a five minute pop song. It's nothing less than brilliant. Davmoco, lemonade kid, adriatikfan and 14 others like this. Hejira is my favorite Joni album. I'm going to focus on instrumentation. I'll leave any lyrical interpretations to others in the thread. Although Jaco is only on four tracks, his virtuoso playing made a huge impression: for some people he was a showoff who played too much. It's hard for current listeners to realize how "outside the box" Jaco's playing was at the time he burst onto the scene. At that time, "outside the box" was exactly what Joni was looking for. She sure found the right guy to provide it. Jaco was not a proven commodity at that point. He had just joined Weather Report but had only appeared on two tracks. His solo album had not been released at the time that Hejira was recorded. He was not well known. Joni had the courage to trust this virtually unknown maverick to help her blaze a trail into uncharted territory. Listening to the early Hejira/Don Juan tracks played on the Hissing tour (Coyote & Talk To Me), it is apparent that Jaco brought a whole different vibe to the songs as compared to Max Bennett's interpretation of them (I'm also a Max fan!). "Coyote" grabbed me the first time that I heard it on the radio the week of release. The bassline is very memorable. One unmentioned aspect to Jaco's contributions on this album are the use of multiple layers of bass parts on the tracks. On Coyote, there is the very active bassline that is quite obvious. Jaco added a second layer of bass harmonics throughout the song. [There are 3 easily identified harmonics played in the brief intro of the song.] Those harmonic bass parts produced a chime-like sound that helps contribute to a dreamy atmosphere (perhaps symbolizing "highway hypnosis" aka "white line fever"?). For me, those recurring bass harmonics take a strong track and make it spectacular. Larry Carlton's rhythm playing along with the repeated guitar motif are also quite memorable. Panama Hotel, Davmoco, kevywevy and 14 others like this. This is an unbelieveably beautiful album, one of my favorites. I'm not sure I have much to contribute analytically to it, but I will be watching it with interest. Cokelike- and Parachute Woman like this. For the Roses and Court and Spark were very important pieces in the development of my appreciation of music. With Hejira came a full blossoming of the possibilities of music and art. Though I'd been listening to rock and pop since Beatlemania days and had heard some deviations from 'normal' rock / blues structure, it was with Hejira that I began to appreciate that there was much more to be had out in the ether. Davmoco, Tommy Jay, Parachute Woman and 1 other person like this. It occurred to me that in my brief time with SHF, I've experimented with three avatars, and all three involved images of dogs (this magnificent beast "posed" for a photo a week ago in honour of his 14th birthday). You might say I'm a dog person. 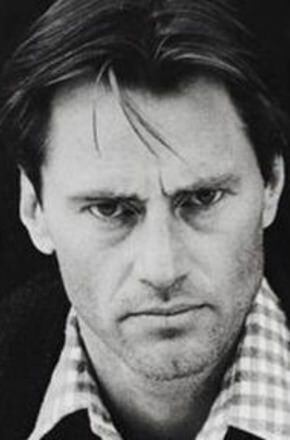 While I have no idea whether Mitchell captured the character of Sam Shepard, an actor whose name I can never spell and whose face I can never recall, as an experienced observer of coyotes, I can assure you that "Coyote" captures the inherent playful and breathless pace of these most puppyish wild animals. For that reason, as a long metaphor about the character of coyotes, if not one "coyote" in particular, this has always been among my favourite Joni songs. The propulsive guitar chords that open the song on Joni's rhythm guitar evoke the effortless loping pace of a coyote perfectly. The celebration of amorality in the lyrics is evocative of the coyote's character. And the image of a coyote jumping up and flashing its teeth at the shadow of a hawk... I've watched them play that very game. If Joni has regrets, as alluded to by @lennonfan1 earlier, her regret is that she can only briefly visit Coyote's world. I don't believe Coyote (the trickster) has any regrets at all. lschwart, Geee!, VU Master and 1 other person like this. Thank you for this! I love the instrumentation on this album, but I don't feel entirely qualified to comment on the choices made by the musicians. I really look forward to what you have to say. I do know that none of the musicians saw each other or played together. Joni overdubbed them separately. Apparently, poor Max Bennett was feeling so separate from Joni at this point that he never even owned the album. Jaco gets the bulk of the praise (and his work is stunning!) but Max contributed wonderful bass to 'Song for Sharon' and 'Furry Sings the Blues.' Larry Carlton also continues to be a powerful secret weapon for Joni and his guitar playing compliments hers perfectly. Zoot Marimba, Tuco, VU Master and 2 others like this. I am in agreement with many here it seems, JM made so much great music but there is something so special about this album, it may be the high point. Jaco's presence is an obvious, wondrous stand out, but even more than that, Joni's guitar parts are beautiful and brilliant, so evocative and unique (though later copied, i.e. probably spawning a number of Windham Hill Records...). I quite consciously pulled this out on one of my own road trips across the U.S. A perfect soundtrack overall, though I'll admit that certain tracks here stand out far more than some others for me. "Coyote" is a great lead off track. Her conversational approach to the vocal, the way the lyric mixes the mundane and the deeply emotional, the way it mixes a cool unaffected air with existential confusion and longing, well it's Joni and it's brilliant like that. It's a bit similar in some ways to the previous album opener, "In France..." in terms of its energy and tempo, but this time it seems a bit more poetic and perhaps more esoteric too, which is not surprising knowing the more experimental direction she continued to go after this album. Davmoco, Tuco, Socalguy and 1 other person like this. Thanks for this! Really nice synopsis. Kinda hard to pick my favourite Mitchell LP, there's so many great ones, but this one gets spun more than most. Makes me cry sometimes it's just so beautiful. I really agree with the idea of this being a fruition of some earlier ideas in terms of song structure, like a flower opening. Her phrasing and the jazz influences are just wonderful. Looking forward to reading more. Socalguy and Parachute Woman like this. I have been a big fan of Joni for all of her career, but I am embarrassed to admit that somehow I missed this album upon its release. I had heard some songs in isolation from the album but never owned or heard it as an album. This is doubly astounding to me personally, as I am also a major Weather Report fan and had been following Jaco as soon as joined them for a couple of tracks on "Black Market" and saw him with them in Boston on his first tour with the band. I think of it like finding an incredible treasure in the basement of your home... "how did I not know this was here all of these years?"... ah well, that surprise just makes this album even more special to me. And as Parachute Woman noted early in this thread, this discovery came at a time, late 2017-mid 2018 for me, that was a difficult time emotionally for me and this album resonated and uplifted my spirit as well. So thanks for starting this thread (as well as the other Joni threads). Geee!, Tommy Jay, Socalguy and 2 others like this. Geee! and Pines Brook like this. I love Joni. I Love Jaco. This album is a career high point for both. I am not sure if anyone has made an album this perfect in the 42 years since this came out, though Leonard Cohen's final album makes a pretty good case for itself. Never knew Jaco was all overdubbed and I never would have imagined that. I am guessing this was not the case on Don Juan and Mingus? VU Master and gregorya like this. My favourite album by Joni - and by some distance. Love the live versions of some of these tracks on Shadows and Light. Davmoco and Rfreeman like this. Her voice on this album is absolutely stunning. Through some miracle of human physiology, those 4 packs a day she was consuming somehow had little effect on her vocal abilities. If anything, her tone is even more beautiful and expressive. The woman is a freak of nature, in the best sense. Re Jaco’s bass playing, considering his age and his off the chart talent, he shows relative restraint on this album. No showboating, just brilliant complimentary lines. Much respect. merterhenz, Panama Hotel, Davmoco and 7 others like this.